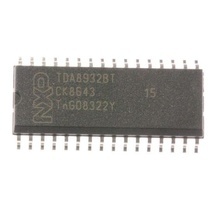 Car Entertainment (NICE) extended car radio tuner for AM, FM and Weather Band (WB) intended for microcontroller tuning with the I2C-bus, FM mixer for conversion of FM RF from 65 to 108 MHz to IF of 10.7MHz. QFP-80. 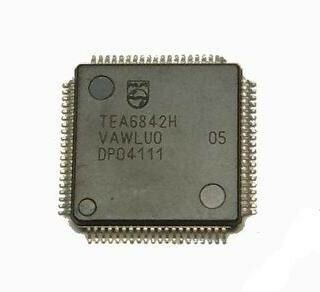 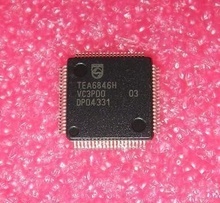 Quad buffer/line Driver; 3-State SO14, equivalent: 74HC125 MC74HC125D/T3mm74HC125D SN74HC125D. 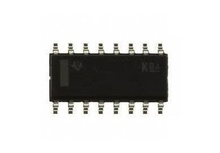 Dual 4-Channel Analog Multiplexer-Demultiplexer, high-speed Si-gate CMOS SO16, equivalent: 74HC4052 74HCT4052 CD4052 CD4052BM CD74HC4052 M74HC4052 MC74HC4052D MM74HC4052D SN74HC4052. 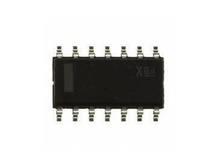 Triple 2-Channel Analog Multiplexer-Demultiplexer, high-speed Si-gate CMOS SO16, equivalent: 74HCT4053 M74HC4053 MC74HC4053 MM74HC4053 SN74HC4053 U74HC4053G.